After the Chrome Extension is installed and login to your CarMax dashboard (and if you already logged in be sure to refresh your CarMax log in screen), click on the check box next to each vehicle that you want to import. 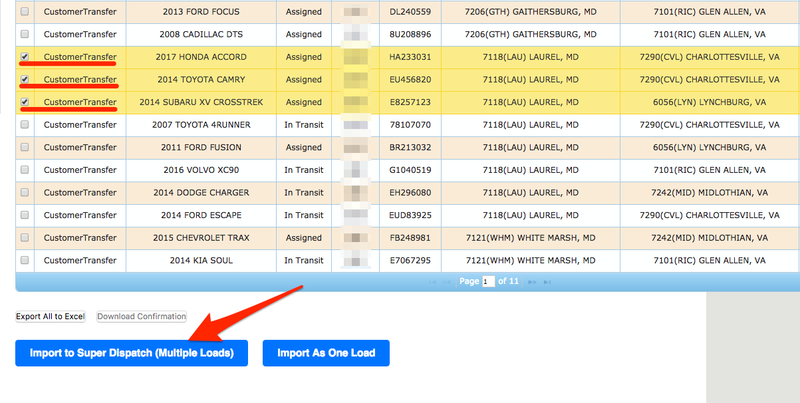 Once you selected any load, there you will see Import to Super Dispatch button. Click on it to import the load to Super Dispatch. If you selected several orders at once, you will see blue Import to Super Dispatch button. When you click on it, each order will be launched into its own Super Dispatch edit order screen, to be individually edited and saved. 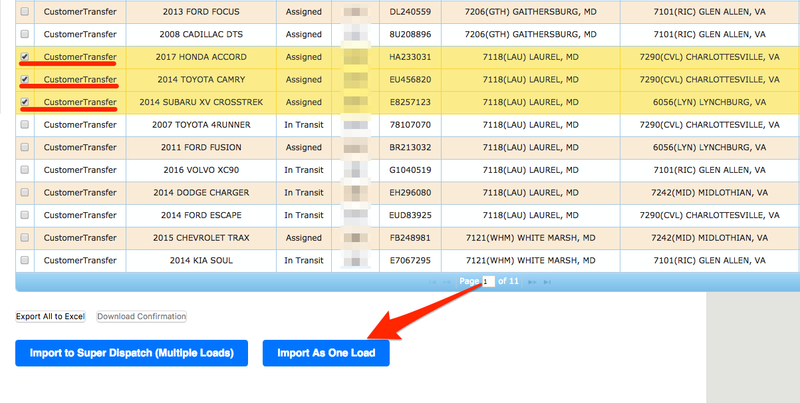 And, if you selected several orders at once, and want to import all loads into one load, you can do it by clicking Import As One Load button. When you import all loads as one load, all loads' vehicles will be saved as one load. In this situation we take Origin/Destination info from the first load and from the rest of loads we take only Vehicle info.